Since the turn of the century, the Green Party has blossomed from obscurity to a major, professional party. 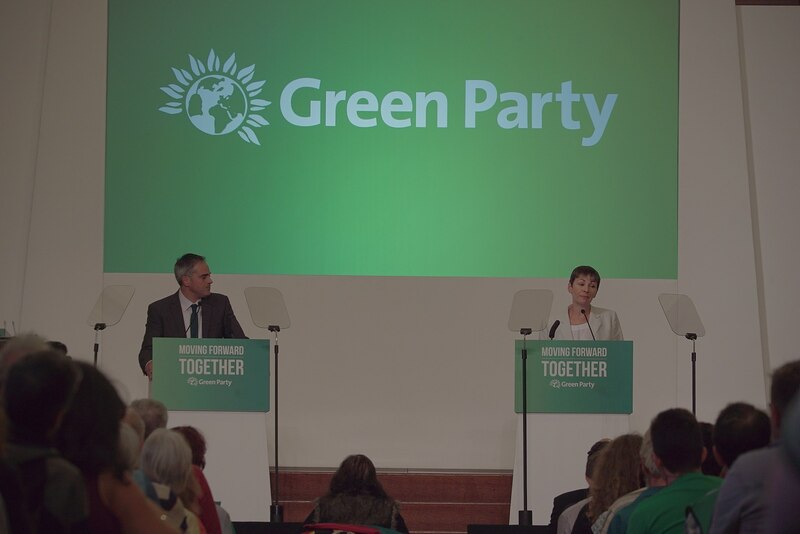 Caroline Lucas was elected in 2010 and the Greens obtained a million votes from across the country in 2015. For a small, poor and relatively young party this is a major achievement, especially in a British political system where the two-party system is ingrained at every level. Left wing, radical and ecological, the Green party’s growth was undeniably fertilised (although not solely caused) by the more right-wing nature of Blairite Labour. Looking for a new political force, many on the left of the Labour party, students and progressives of all shades switched to Green. With a Jeremy Corbyn leadership, however, the shadow of Labour has once again fallen over the Green shoot, which now risks wilting. Previously the only real left-wing option, the Greens suffer now that Labour also calls for the end of austerity, the scrapping of tuition fees and nationalisation of rail. So much was this the case that, in parts, it’s hard to discern between the Labour 2017 manifesto and the Greens’ in 2015. This was a major factor for the fall in votes the Greens experienced in June; where the party picked up over a million in 2015, a little over two years later it managed less than half that. While the decision by local parties to pursue an informal progressive alliance and the national strategy of focusing campaigning on a few seats inevitably meant a fall of votes, ultimately Corbyn’s Labour was the real reason the Greens struggled. Yet this view is short-sighted, arrogant and ignorant of the ideological and practical uniqueness of the Green Party. The Labour manifesto was labelled radically left wing by some, or even Marxist by the hysterical right-wing commentariat. Against the modern hegemony of neoliberalism perhaps it could be seen as radical, but in the grand scheme of things, it was nothing of the sort. The Labour manifesto was, despite being the leftmost it had ever offered (notwithstanding 1983), no more than a beginner’s guide to social democracy. Yes, if implemented it would restart the post-war consensus started by Clement Attlee’s transformative post-war Labour Government which bought nationalisation of key industries, the primary economic aim being full employment, good Keynesian economics, a more progressive taxation system, a better provision of welfare, free education and more. However, that is the most radical Labour could ever be and will ever offer. Firstly it’s worth noting that even if Jeremy Corbyn becomes Prime Minister and implements his manifesto, Labour will split on what comes next and cold look to the right of the party again, as happened after the resignation of Atlee. Beyond this, after the 2017 manifesto, what more ideas do Labour have? Certainly anti-neoliberal, in truth Labour’s programme wasn’t truly radical in the sense of wanting to fundamentally rewrite the system. Compare Labour’s manifesto to previous Green manifestos and this difference becomes clear. Greens wanted a four-day working week and aimed to implement universal basic income, in addition to putting in place all the other good, social democratic policies found in Labour’s manifesto. 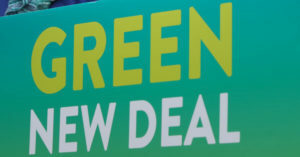 Continuously more willing and more able to challenge mainstream and conventional left-wing economics, Greens aren’t afraid of new ideas like UBI or tackling the idea that life is completely about work or the belief that economic growth is ecologically viable. Environmentally speaking, the Greens are the only party who put climate change front and centre of their political agenda, whilst Labour doesn’t have a leg to stand on. Their support for nuclear power is environmentally illiterate, and whilst the party would invest in renewable energies this still isn’t enough. Contrast this with the Greens, who would renew the Green Investment bank, not just nationalise but socialise the energy firms and invest in wind, solar and other renewable energies more so than Labour. Capitalism is inherently anti-environmental and whilst the neoliberal capitalism we have now is a particularly grievous offender, even the Keynesian economics Labour in its heart believes in is not much better, pandering to the dogmatic idea that unending growth is necessary for prosperity, ignoring the fact that this is mutually exclusive with environmental sustainability. Climate change requires tackling the status quo in every way. Labour may well claim to represent the “new economics”, but in a world where climate change is increasingly prevalent, if it isn’t ecologically viable then it’s simply irrelevant. The hurricanes throughout Central and North America in the past month show that climate change it is a real problem that needs solving immediately. Only the Green Party truly acknowledges this fact. Brexit is another area where the Green Party is significant; The Lib Dems are seen as the pro- EU party but, especially under Vince Cable, their socio-economic policies can’t be considered progressive. Labour, on the other hand, may well hold progressive policies, but they have sacrificed a close relationship with the EU. The Green Party, however, doesn’t make individuals choose between the EU and progressive policies, instead supporting an “are you sure?” ratification referendum once the terms of leaving are known. 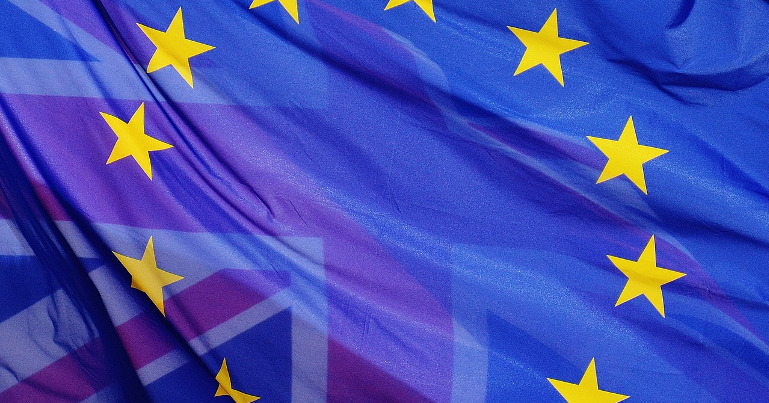 The party passionately believes in access to the single market, and the Greens are also the only party that stands up for our freedom of movement, not only as an economic necessity but as something that is socially desirable. Labour is also upsettingly weak on governmental and constitutional issues. The party still refuses to support proportional representation, largely because it believes it benefits from how first past the post keeps our democracy broken. Whilst Labour might abolish the House of Lords, it is not a priority. For Greens, democratic reforms are of the upmost significance. At a local level, the Green Party remains increasingly significant. Just as councils at every level in counties like Kent are almost rigged to always be Conservative, so too are there those that will always be Labour. This leads to a complacent, out of touch council that has little link to the local community. In Lambeth, Greens have been the main opposition against a Labour council that continuously goes against the wishes of locals. In Sheffield, Greens lead the resistance to unnecessary and unwanted tree felling by a council that doesn’t care. 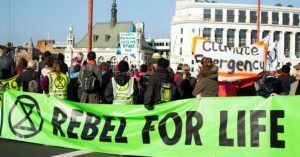 The Greens have a unique ideological attachment to local government, believing in increased localism and wanting to give as much power as is possible to the people, aiding them to take control of their own lives. It may be that now is the time of the Green Party. A Corbyn-led government could well be a good one. However it would not truly affect social change in the long-term and build on its reforms both because it couldn’t without causing a fundamental split and because it ideologically doesn’t believe in doing so. The Green Party is the party of the future- it is the only party with new ideas to old problems and the only one willing to seriously attack the status quo and dismantle the system. The Labour Party has pushed ajar the doors that kept truly progressive and radical policies away from the mainstream, but only the Green party can blow them off their hinges. « Brexit and Bank Holidays – What is being discussed at Green Party Conference?